Advance offers training for ICFE exam. Cambridge ICFE (Cambridge International Certificate in Financial English) is an exam which tests candidates’ ability to understand written and spoken English in a number of realistic contexts that accountancy professionals are likely to encounter in their daily working lives. The exam consists of four papers – Reading, Writing, Listening and Speaking which are designed to provide a comprehensive approach to developing financial English skills. It has been developed in partnership with ACCA (the Association of Chartered Certified Accountants), which is the largest and fastest-growing global accountancy body. Cambridge ICFE is suitable for students of finance and accounting and practising accountants and finance professionals. 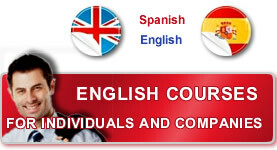 seeking certification to demonstrate their English-language proficiency. to allow test users to compare candidates’ results with other qualifications wich are linked to the CEF.